Ricardo will be 42 in May! The Professor Chaos Workout is the latest workout video for the Fat X 101- Fat Burning Bonus Series. This workout video is a bit special, and here’s why. I recently opened a new private training studio in Pasadena, FX Training Pasadena. I can’t personally work with everyone who wants to train at FX Training Pasadena. So, I needed to find other people who were capable of doing private fitness coaching (personal training) or have the ability to run an FX Boot Camp class. I didn’t want just anyone; I wanted someone with a high level of scientific training knowledge and experience in fitness. The first person that came to mind was my brother, Ricardo. Ricardo is extremely qualified, and I’ve been actively recruiting him for a while now. His resume includes a master’s degree in education and two other fitness certifications, International Sports and Science Association (ISSA) and USA Weightlifting. 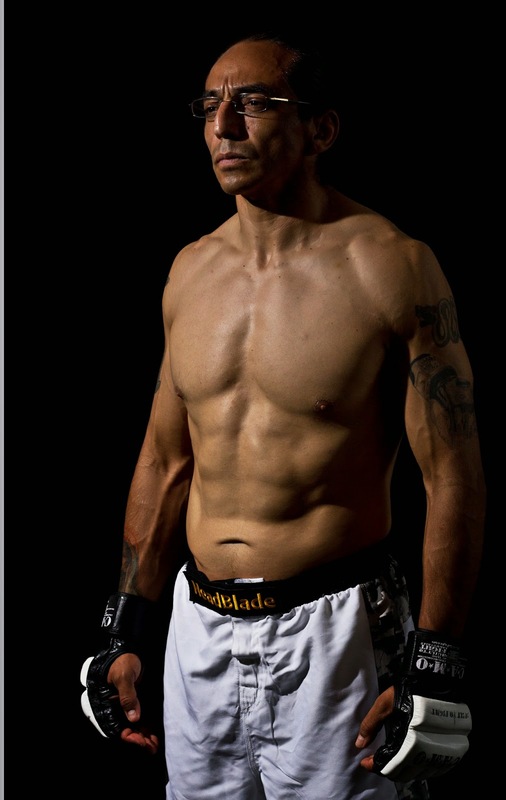 Along with that, he has plenty of competitive experience, ranging from Power Lifting to Mixed Martial Arts and Submission Wrestling. I’ve also personally put him through my 12 Day Fat X Program, and he won the title of Pasadena's Fittest Man when he completed the open Apocalypse Workout Challenge in just over 6 minutes! And just like myself, he's never used steroids and is completely 100% steroid free! If you’re familiar with my Fat X Program and the other Bonus Workout videos, you already have an idea of how to track the workout. Tracking and statistic keeping is very important so that you’re not just going through the motions, and to ensure that you’re actually pushing yourself from workout to workout in an attempt to beat your numbers/stats. This creates a great tax on your metabolic processes that creates and enhances the afterburn effect a.k.a EPOC (Excess Post-Exercise Oxygen Consumption). The afterburn effect, or EPOC, is one of the secrets to efficient fat loss (fat burning). This workout starts with the sled push exercise. The sled is to be pushed for about 5-7 yards. After finishing the puch, you quickly reverse the motion by dragging the sled back to its original start position. From there you transition into the Pull Up exercise with a Jack Knife exercise combination. In strength and conditioning circles, this is commonly referred to a “complex”. You complete the Pull Up first, and then the Jack Knife. This exercise combo/complex is done for 4 reps before moving on. To get the full effect of this complex, it is important to maintain proper form and not allow your body to swing forward and backward. You finish the circuit with 4 reps of Advanced Burpees, and then start the circuit over. Just like in many of the Fat X Program workouts and the Bonus Series workouts, you complete the circuit AMTAP (as many times as possible) for the prescribed period of time (round), in this case 5 minutes. (Feel fee to adjust the time limits, if you’re training for a particular combat sport, and a particular round system. I want to thank my brother for going through this FX Training Coach Certification process and putting this workout together. It’s gotten great reviews already and it’s a welcomed addition to the Fat X 101 - Bonus Workout Series. Ricardo will be running a morning FX Boot Camp class beginning in June. If you’re interested in private one-on-one fitness coaching (personal training) or you’re interested in doing one of the FX Boot Camp workout classes in Pasadena, feel free to contact me.